This tool enables the SAP Cloud Platform which is hosted on the internet to access URL’s that are internal to your corporate network. 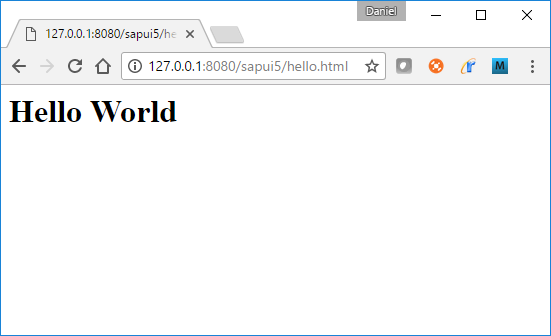 The following example demonstrates how it can be installed and used in a Fiori Client application by making a webpage hosted on my laptop at http:\\127.0.0.1:8080\sapui5\hello.html accessible to the Fiori Client that has registered with the SAP Cloud Platform server. 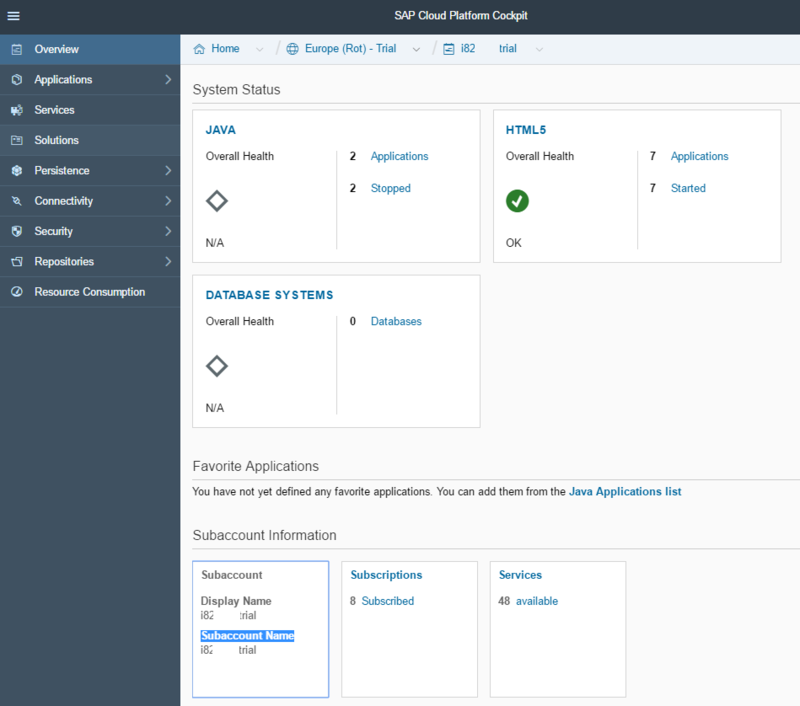 Another common use would be to make an OData service that is only accessible in an internal network accessible to the SAP Cloud Platform server. 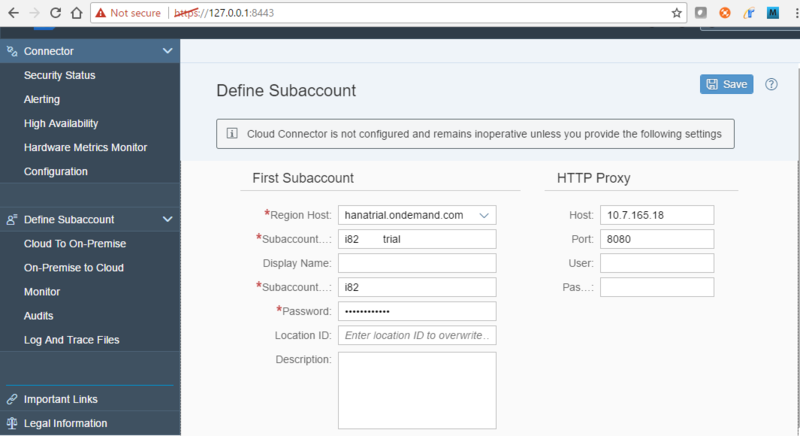 See also the Cloud Connector tutorial at SAP Cloud Platform Cloud Connector setup for secure on-premise connectivity and the documenation SAP Cloud Platform Cloud Connector. The user name is Administrator and the initial password is manage. The proxy host and port are only necessary if you require a proxy on your internal network. The subaccount can be seen on the following screen. Under Cloud To On-Premise, create a mapping. Next, configure the resources that are accessible for the mapping. 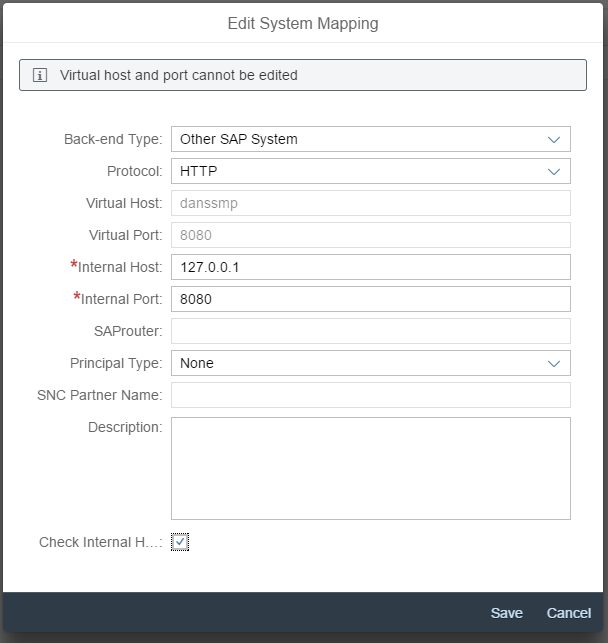 Now configure an application in the SAP Cloud Platform to make use of the cloud connector mapping. The proxy type of OnPremise indicates the Cloud Connector is being used. 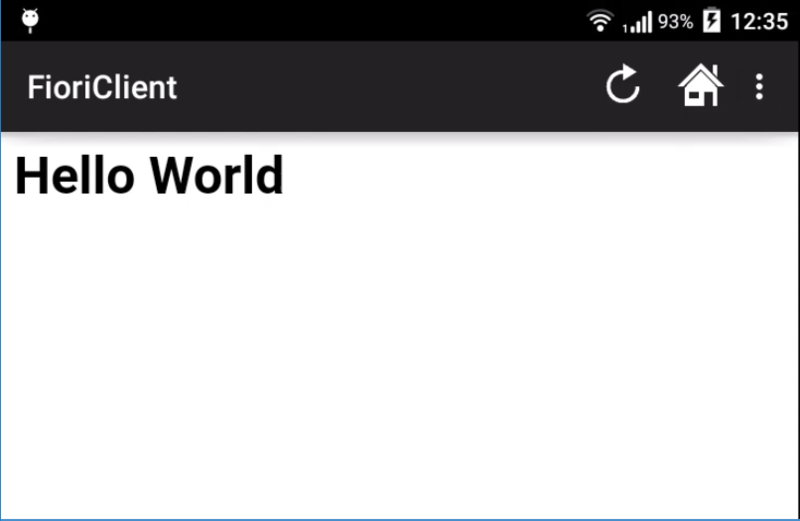 Here are the contents of a page on my laptop being hosted from a webserver (SMP server, content at C:\SAP\MobilePlatform3\Server\webapps\sapui5\hello.html). Note that it is proxied through the SAP Cloud Platform so that I no longer need to be connected to my work’s internal network to access the page.